It took a while for Real Madrid to find an antidote for Barcelona's "tiki-taka" game, but José Mourinho finally seems to have mastered that very particular challenge. Does this mean a lot more teams will be capable of emulating these tactics and put Barça's game philosophy on checkmate? How will these last two Clasicos wins end up affecting Real Madrid for their Champions League clash against Manchester United, right next Tuesday in Old Trafford? 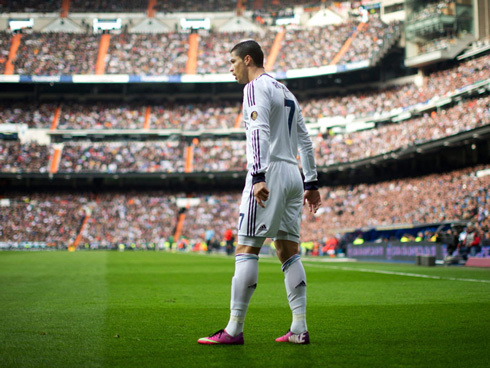 Madrid earned their second win in four days over a seemingly dumbfounded Barcelona at the Bernabéu last Saturday. Madrid were able to turn the 1-1 score line into a win in the closing ten minutes of the match thanks to a lovely Modric corner kick that was met by Ramos's stellar header. If the Bernabéu had a roof, Ramos would surely have hit it judging by the height he was able to reach. He was able to launch himself far above Barcelona defender Pique and send an unanswerable header into the far corner of the net. Barcelona goalkeeper Valdés had many great saves throughout the afternoon that undoubtedly kept Barça in the match, but there was no stopping this one. So the big question is, after three Clasicos played in just over a thirty-day period, have Madrid sealed their position as the rulers of Spain? With an aggregate lead over their last three meetings of 6 – 3, it would appear so. 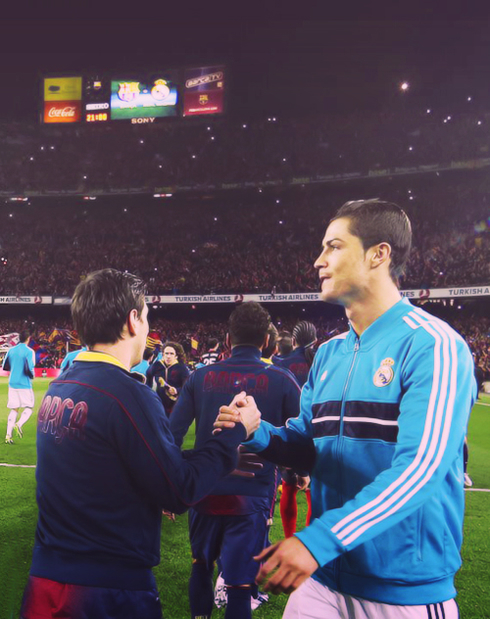 No one can fairly argue that Barcelona is playing better football than Madrid at the moment. Barcelona, resting (as their recent performances illustrate) at the top of La Liga with 68 points in 26 matches, could be considered the kings of Spanish football. But do points alone tell the whole story? 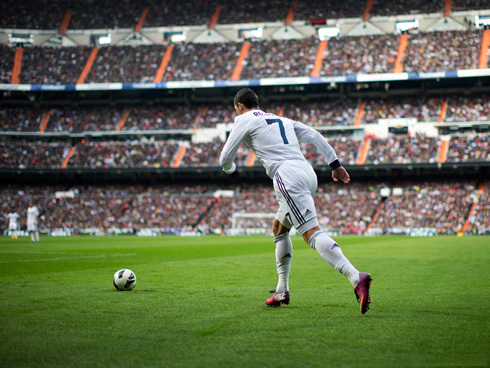 Have Madrid usurped the throne in just three matches? Who is truly reigning in Spain? Since the start of the new year and the second half of the season, Madrid and Barcelona seem to have gone through a "Freaky Friday" – esque swap of fortunes. Madrid's fans were bemoaning their abysmal start to the season and some were rallying for manager Jose Mourinho's head on a spike. Meanwhile, Barcelona fans had already started planning their La Liga, Copa del Rey and Champions League celebration parties around mid-October. Madrid appeared to have gone off the train tracks while Barcelona were coolly headed for the station. There’s no single reason to be pinpointed that can explain the current reversal of fortunes, and given the unpredictability of the season thus far there is not reason to necessarily assume it will continue. But Madrid now appears to have been a sleeping giant that was awoken by the smell of Barcelona's blood. The 1-1 draw with Manchester United leaves them in a very manageable position for the upcoming away fixture at Old Trafford. Madrid's away performances as of late have been very solid and there’s no reason to assume that this will let up. It’s hard to ignore the fact that when they’re playing together and functioning as a unit, Madrid's players look happier on the pitch. The second win in a row over Barcelona only ensures that they’ll be entering Old Trafford with more confidence than most teams could actually handle. The lingering question for me is, how could a team trailing their rivals by 13 points in the league be able to beat them twice in a row and eliminate them from a cup competition in the process? Here’s what I’ve come up with. Madrid has studied the lock that the Barcelona midfield presents and they have developed a key. The key they've developed was brilliantly displayed in the league clash we saw on Saturday. Most Europeans teams have found out that if you want to beat Barcelona, you’re going to have to park a bus. The most fascinating thing to me about this most recent Clasico is that Madrid did not have to do that. We saw AC Milan do that for a good portion of the first-leg Champions League tie against Barcelona, and who can blame them? Milan had the added ingredient of brash confidence that allowed them to not be too scared of Barcelona's inevitable dominance. But the display that Madrid gave on Saturday shows that at the moment their creativity, intelligence and resilience is perfectly adapted to shutting Barcelona down. While they haven’t been able to defeat some of the lower-level La Liga teams this season, they’ve been consistently out-performing the league leaders. The most important tactic that they’ve developped, in my opinion, is the defensive stance against Barcelona's passing. Barça's structure their passing in such a way that triangles are constantly being built and shifted around the defensive players that they’re facing. The constant passing serves to disorient the defender and move the ball beyond him. What Real Madrid has done is build defensive triangles that parallel Barcelona's offensive ones. This allowed Madrid to effectively block or intercept almost every other pass that Barcelona attempted to make. By creating triangles on the defense instead of simple man-to-man marking, Real Madrid was able to keep better pace with the ball and with Barcelona's plans. The truth is, the intelligence and the stamina that a team requires in order to be able to do this is not easy to come by. Most teams would not be able to defend against Barcelona this way because they do not have the pace or the vision to see the through passes Barcelona are certainly capable of making. So for me, the special thing about the last few Clasicos is that Madrid's intelligence has been on display and not just their athleticism. Of course, if Barcelona's back line were capable of keeping pace with Madrid's front line then maybe results would have been a bit different, but probably not by much. For the Blaugranas out there who might be feeling embarrassed or disgraced, Saturday’s end to the string of Clasicos does have a few silver linings. Messi extended his record-breaking consecutive goals-per-game in La Liga to sixteen by finally besting the mostly impenetrable new Madrid goalkeeper Diego Lopez. With the same goal, Messi entered the annals of history again by tying another legendary and controversial Argentinean, Real Madrid forward Alfredo Di Stefano, with 18 goals scored in Clasicos. Messi scored his 18 Clasico goals in 25 fixtures, whereas Di Stefano's were made across 30. As Messi is only 25 and recently extended his contract with Barcelona to 2018, there’s every reason to believe that he’ll be surpassing Di Stefano's record by a healthy margin. Meanwhile, Ronaldo sits comfortably in seventh place with 12 goals in all Clasicos. And given his performances over the last month against Barcelona, there’s no reason to doubt his imminent ascension in the history books either. Cristiano Ronaldo next game for Real Madrid will be against his former club Manchester United, on March 5, 2013, at Old Trafford, in the UEFA Champions League round of 16 second leg. You can watch Juventus live stream, Manchester United vs Real Madrid live, PSG vs Valencia, Borussia Dortmund vs Shakhtar Donetsk and Juventus vs Celtic, all matches provided from our soccer live section.